Power Packs final distribution was held on May 26, 2015. Our program ran for 31 weeks at Taylor Middle School Campus, Park Elementary and Our Lady of the Angels. 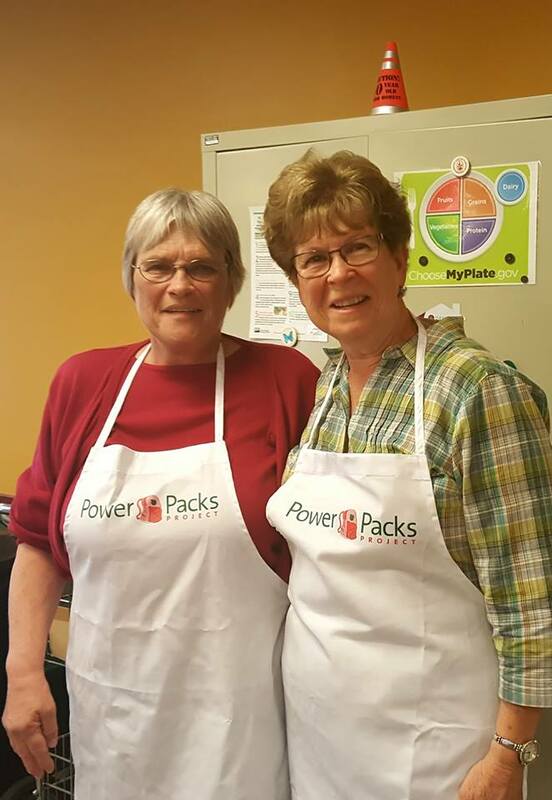 Each week, families received food ingredients to prepare a nutritious recipe along with some healthy food snacks. A paper highlighting shopping, cooking, and health tips for family living was also included in their food bags. This year, a total of 3872 families(125/wk) were served including 9768 children(315/wk). Including adults and seniors a total of 16,765 individuals(538/wk) were helped this year. No project of this magnitude can be successful without its VOLUNTEERS! We had a total of 35 people who gave their time to insure our success and give back to the school children and community. Our volunteers came from many avenues--Churches(Columbia First Church of God, United Methodist, Grace EC, St. Peter's and Holy Trinity, Retired teachers, Friends and Family. Many were involved on Wednesday/Thursday with packing and distributing while others worked behind the scenes getting our supplies(bags, printing, small packaging and set up) ready. Many of our volunteers wore many hats including the above as well as the use of their vehicles for transportation and muscle labor. A Special Thank You to those organizations who held food drives for us-- Park School PTA, Scantron, Columbia High School Student Council and Honor Society and the Columbia-Middletown Elks, who held food drives in the spring and fall. We would like to THANK ALL who supported us through donations and prayer and St. Peter's Parish for the use of our Power Pack home base. To ALL who helped in any way, we say THANK YOU!!! Love, INC/Homes of Hope click on Homes of Hope and then, HOH Communities.